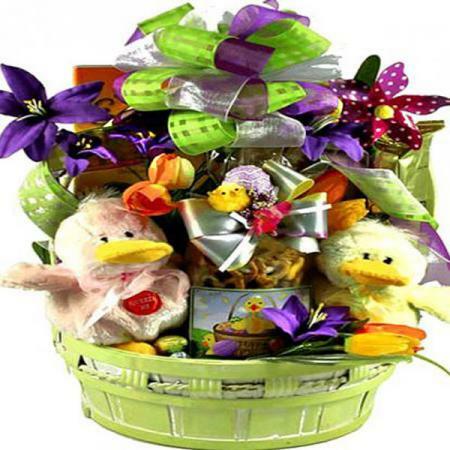 An adorable Easter basket to send by mail. 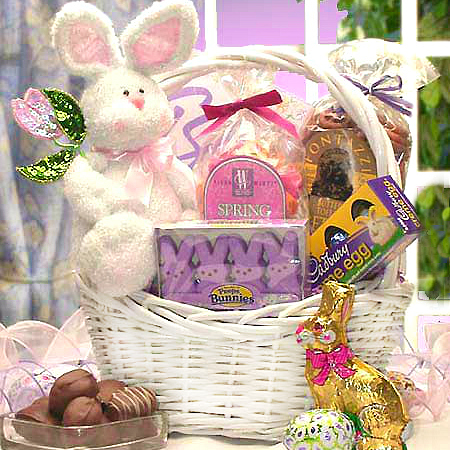 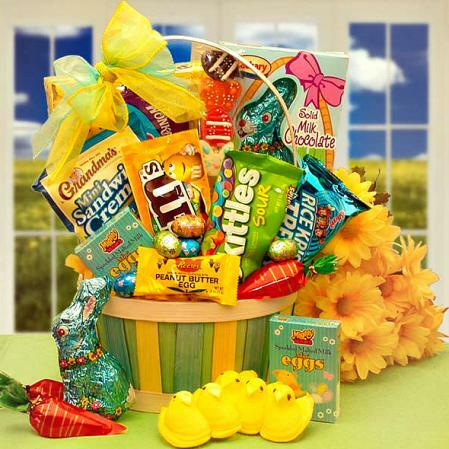 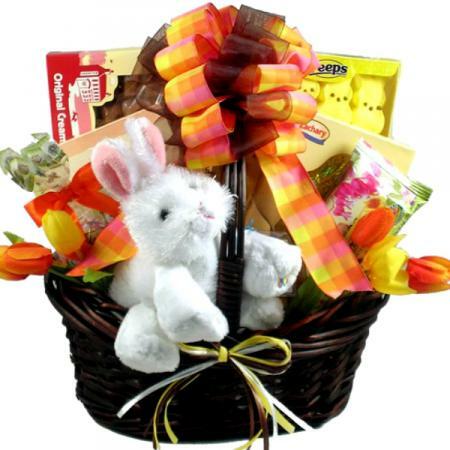 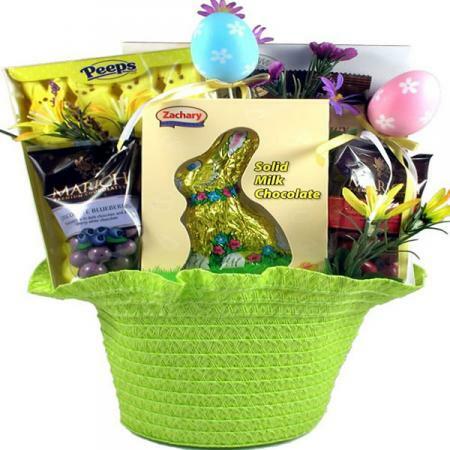 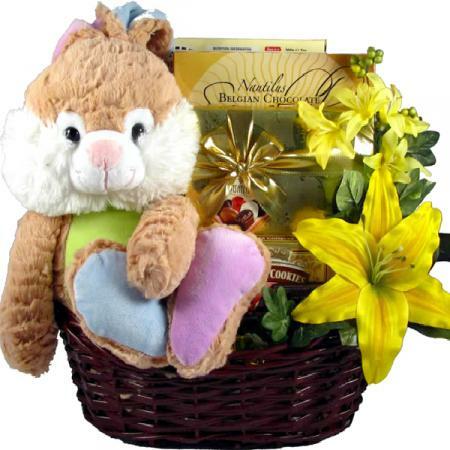 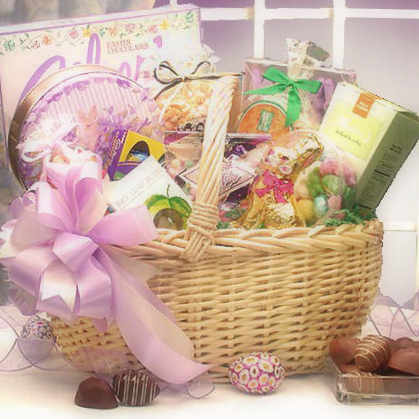 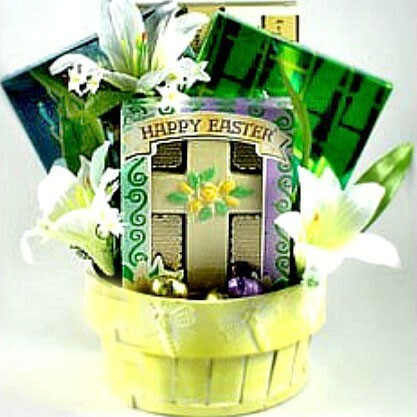 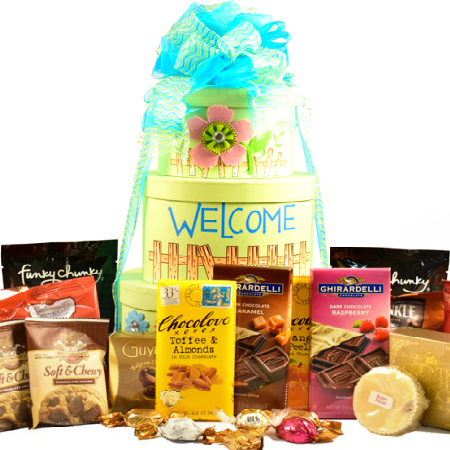 Easter candy and fun gifts make this a great Easter surprise for some bunny special on this special day of celebration. 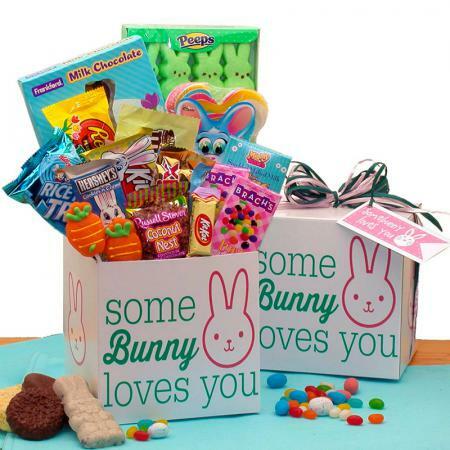 Fill their Easter with sweets, activities and an adorable bunny rabbit! 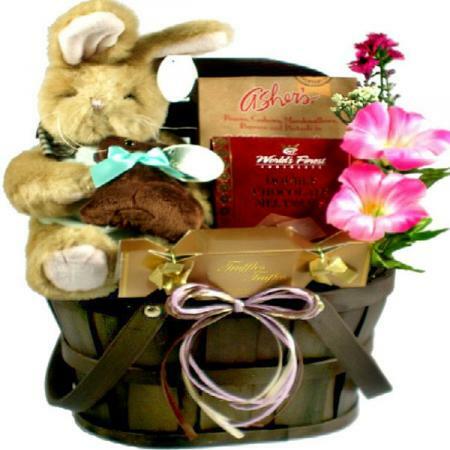 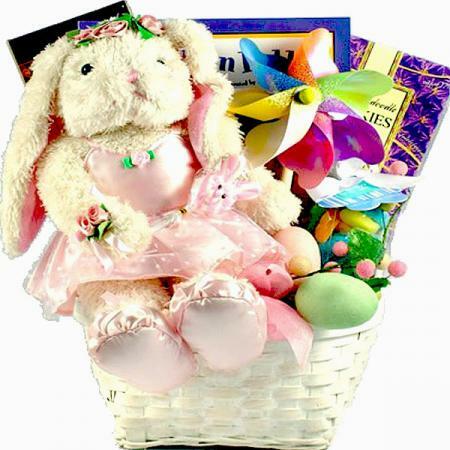 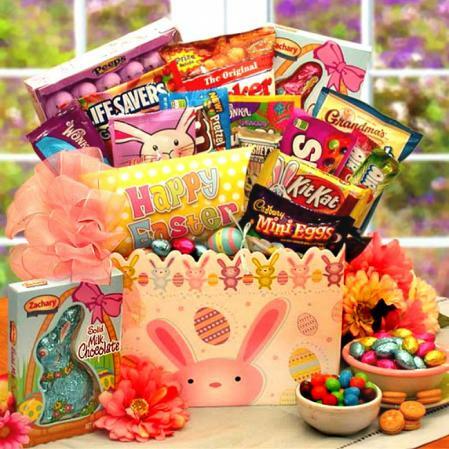 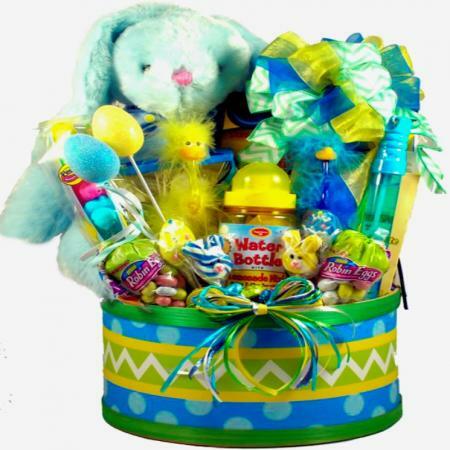 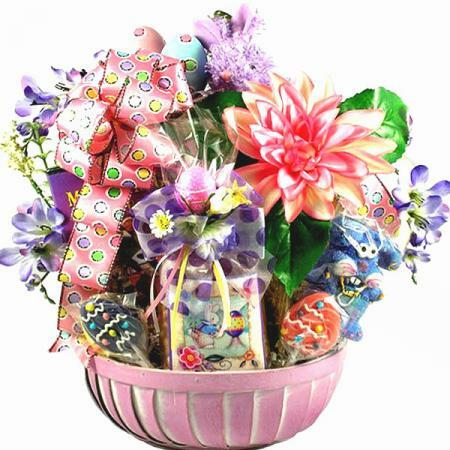 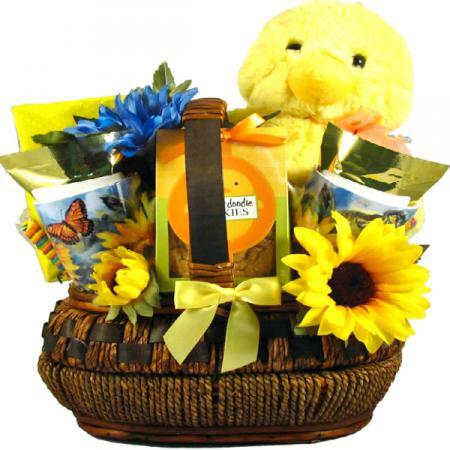 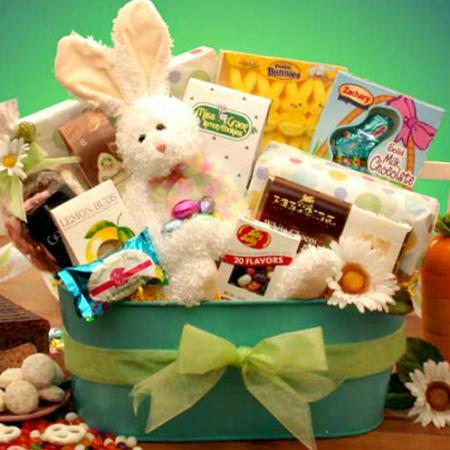 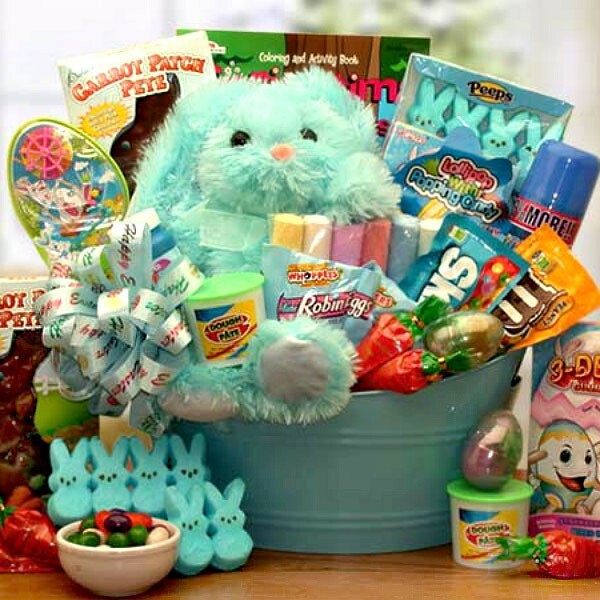 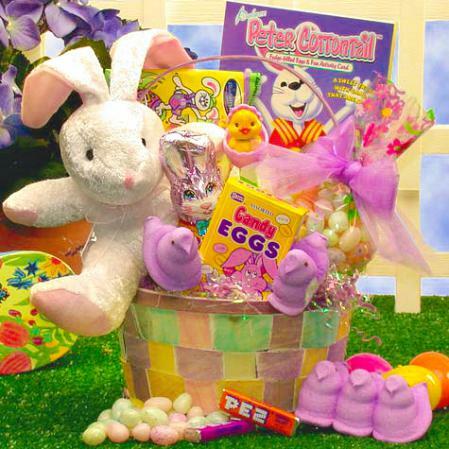 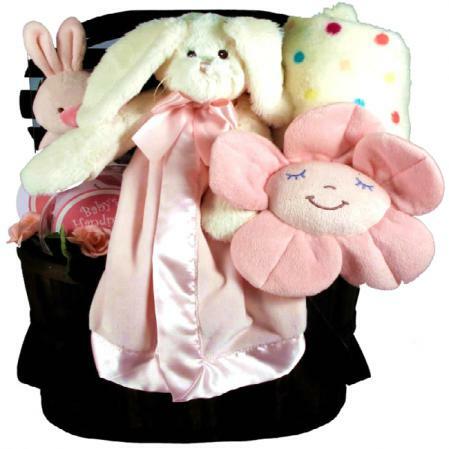 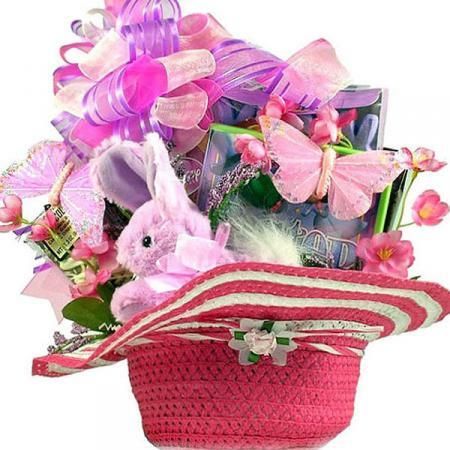 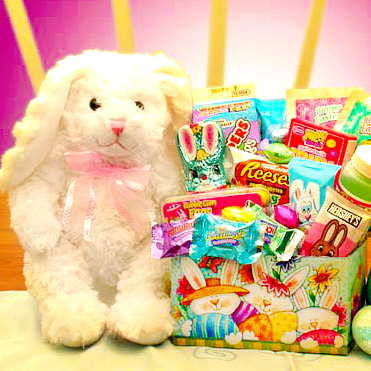 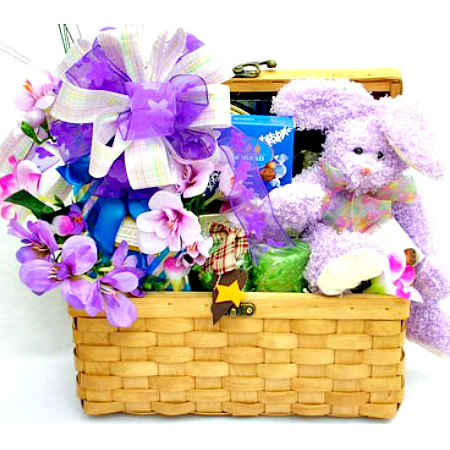 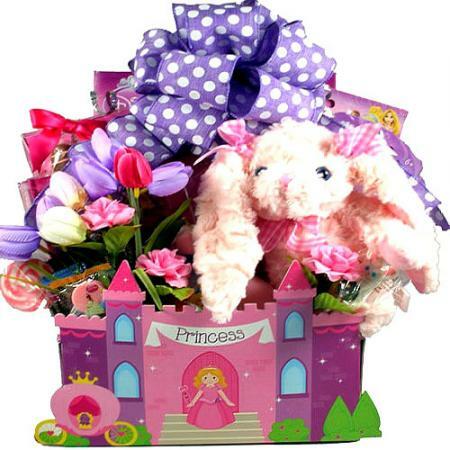 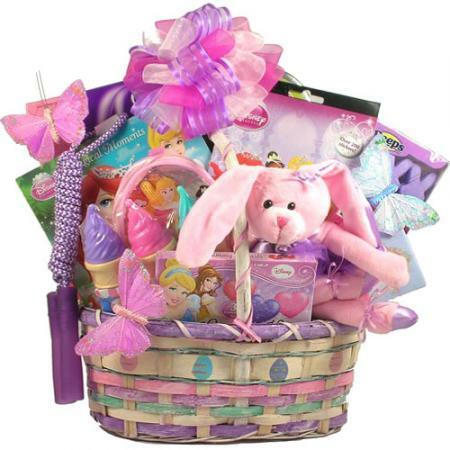 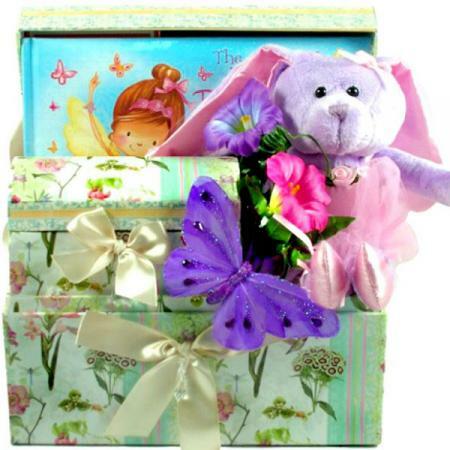 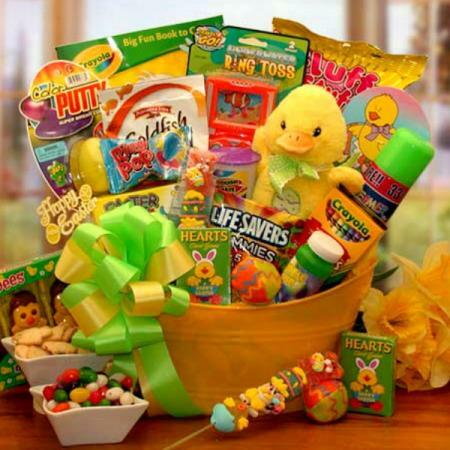 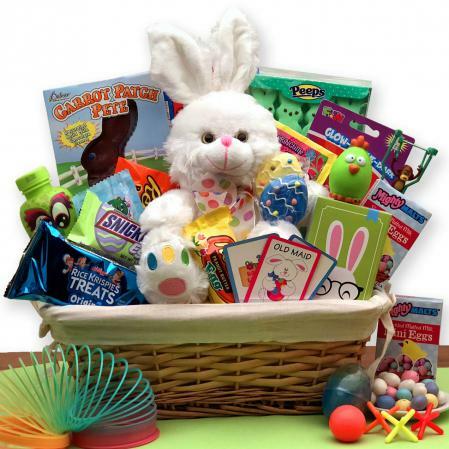 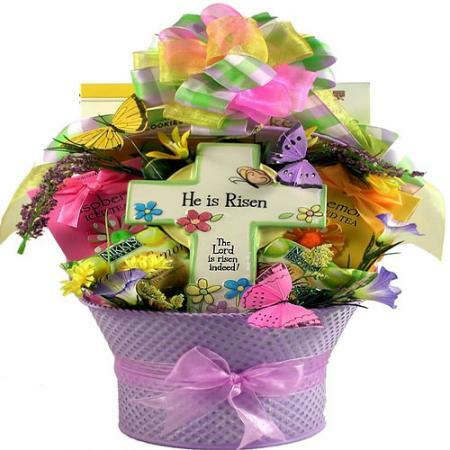 This adorable Easter basket overflows with Easter treats including a coloring book, chocolate, candies, bubbles and much more for a gift that will make Easter unforgettable for that somebunny special. 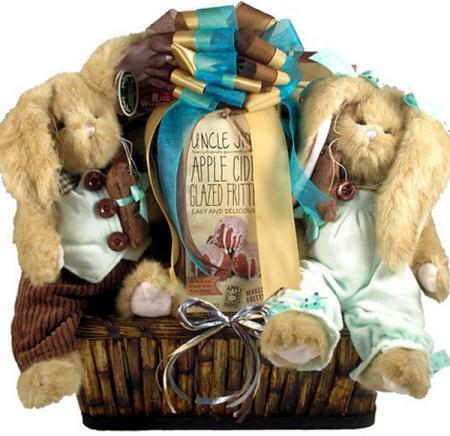 Gift measures 13 inches wide, 9 inches deep and 15 inches tall and weighs 4 pounds.